Building a clamping system or adding to an existing one? Then this is a must-have set! The studs and nuts are threaded 1/2"-13 and work with the G1076 52 Piece Clamping Kit. 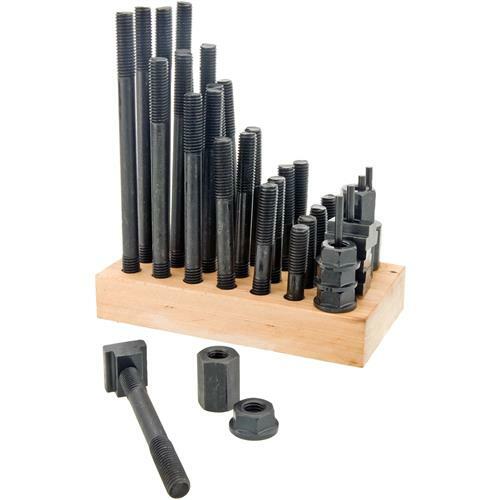 The set includes 4 flange nuts, 4 T-slot nuts, 4 coupling nuts, 24 studs (4 each: 3", 4", 5", 6", 7" and 8") and 1 holder. 5/8" slot size.